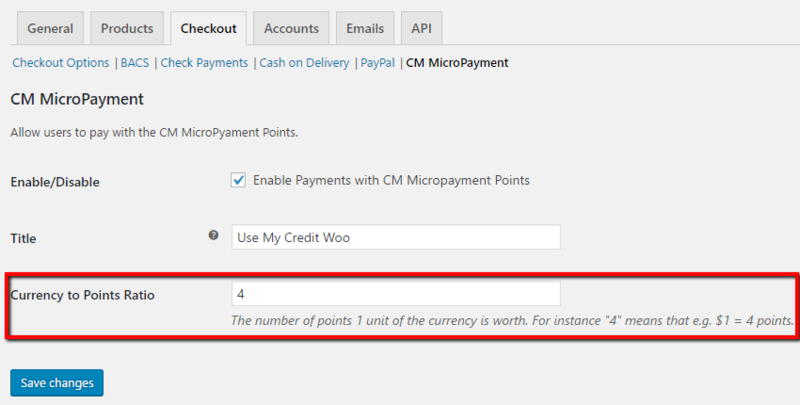 CM MicropaymentPlatform allows you to allow users to use their points as payment currency in the shop you're running. 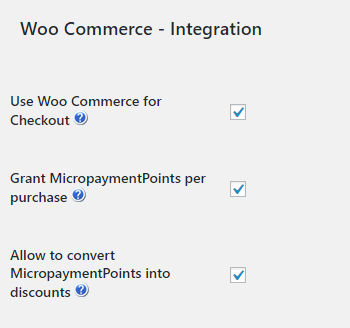 After Saving changes you can get back to WooCommerce -> Checkout -> Checkout Options ans see if the payment gateway appears on the list. Below: The Micropayment Gateway appears on the list under the name "Use My Credit Woo"
After setting up you can use the gateway as any other payment gateway. On the checkout after selecting the Gateway user will have to just fill the Wallet ID (which is pre-filled if the user is logged in and the Wallets are assigned to users). Below there's an information on how much points would be required to purchase and how many points are left in the given wallet. 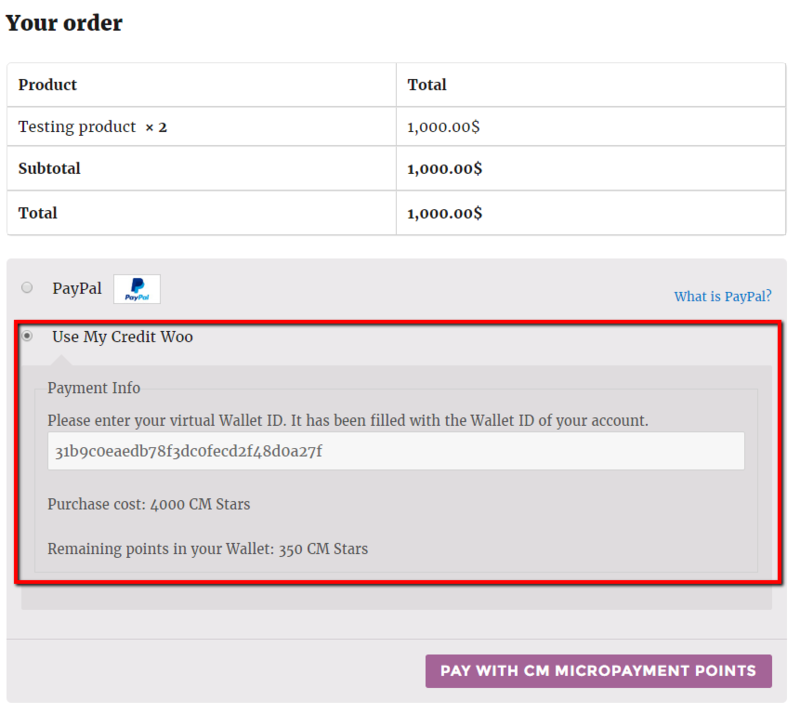 Below: Example Checkout with the CM Micropayment Gateway selected. After the transaction, if it's successful, the number of points will be subtracted from the Wallet and the transaction will appear in the Wallet's history.